When you see the first pumpkin at the market, it’s a telltale sign that autumn has arrived. And while we all love their cheerful color and festive fall appearance, carving them can be a rather messy endeavor. 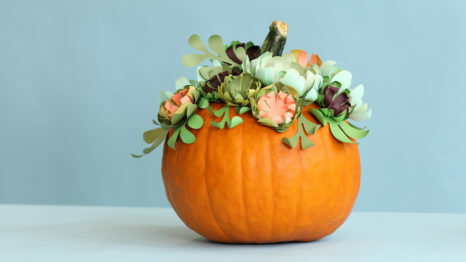 For a less messy and more kid-friendly approach, try adorning your pumpkin with paper embellishments instead. Use our easy-to-follow guide for decorating pumpkins without ever having to touch a carving knife. 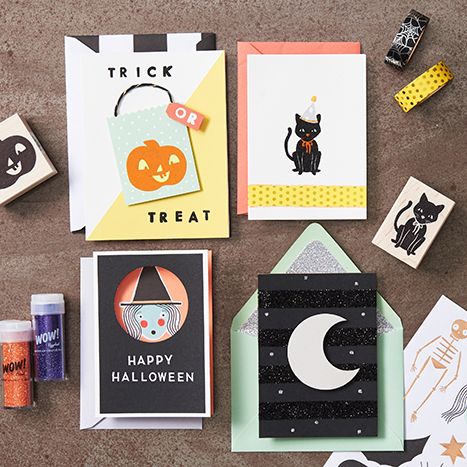 Get into the spooky spirit of Halloween by treating yourself to an evening of card making with our large selection of stickers, stamps, washi tape, colorful glitters and paper. Here are four different cards that will surely inspire you to get ghoulishly crafty for All Hallow’s Eve! Halloween is only a few weeks away, and we are already busy planning as many spooky shindigs as we can until All Hollow’s Eve! In order to prepare for the ghoul times ahead, our DIY expert Rebecca came up with fantastic and easy ways to create some party favors that will surely make your Halloween party extra festive. Halloween is one of our favorite times of the year – who could disagree when there’s costumes, candy, and spooky crafts to do?! 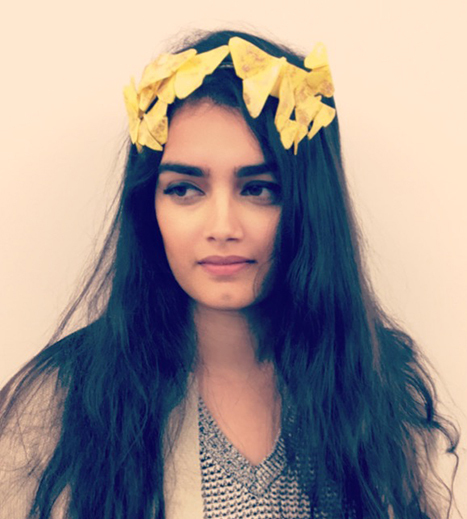 Combine all three of those things and throw a party this season, topped off with some cute DIY hats that will have your party guests going batty. Get the details below! 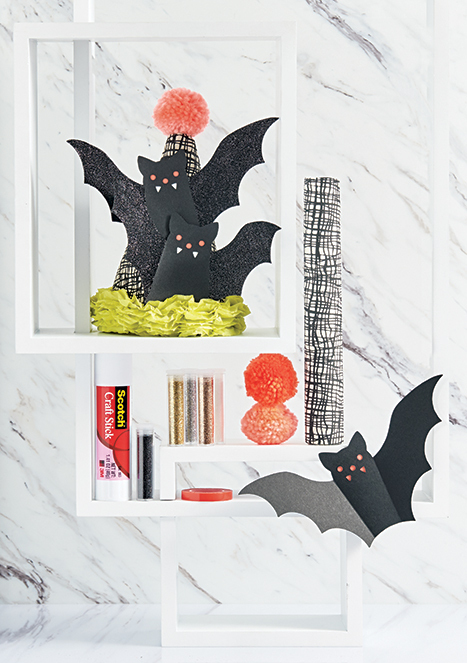 Have a Happy Halloween with our spooky craft roundup! For a freaky and frightening lineup of all our favorite Halloween pictures, products and posts, read on – if you dare! For clever (and mess-free) ways to enchant your guests, adorn pumpkins with everything from glitter tattoos to washi tape, and use our Sticky Face Pumpkin Kit in new ways to keep the party potion flowing! It’s no trick! Use your own creativity and our versatile ribbons, Custom Stampers and stickers to create personalize party favors to treat your guests. Creepily customize every aspect of your ghoulish get-together with special recipes and supplies perfect for any party. We love the petrifying pics from our fans around the web too! How will you celebrate this spooky day? Share with us on social or at #YestoPS! For some of us, Halloween is all about the candy, and with the holiday fast-approaching it’s time to stock up! Visit us online or in store today for 30% off Halloween supplies! For a fun and festive way to treat your Halloween party guests, why not offer adorable treat bags—stamped with your very own custom design? Whether your guests are frightfully finicky eaters or ghostly gluttons, all you need is the recipe for the scariest soiree of the year! Check out some of the tricks and treats below that will scare your guests’ socks off! No one will say Boo! to these chillingly charming Monster Masks! Transform into a witch, mummy, Dracula or Frankenstein’s monster with a few scissor snips, some string and a little bit of glue. Set up a photo booth, decorate with ornaments and garlands, and host your own monster masquerade! Find your inner artist at a P.S. workshop! As a bite of colder weather creeps into the autumn air you might be looking for fun ways to entertain yourself. Rather than lamenting the last days of summer, why not get crafty at one of our upcoming workshops? You’ll be able to bring home your works of art, along with new-found knowledge for keeping yourself busy when the real cold comes (let’s not think about that right now)! Buy two seats at the same time and save 10% off each seat! All classes come with a 10%-off coupon! Visit our site for store locations, dates and times. In honor of Dia de los Muertos (or the Day of the Dead on Nov 1), here are some of our favorite skull items! Hurry and grab these up, because they’re all ON SALE now, while supplies last! Festive shots. Get the party started with these festive Skull Shot Glasses. The gold artwork makes an impactful statement without being cheesy!